Come run the infamous Riley’s Rumble Half Marathon or 8k for a challenging and rewarding race experience. Is Riley’s Rumble a race for you? Let’s find out. Do you love running hills? Do you love running in summer heat? Does the DC area humidity inspire you to get out and sweat it out? If you said yes to any of these questions, or even if you didn’t, go online and register now! You won’t regret it. So which Rumble is the right distance for you? If you are preparing for a fall marathon or are an experienced Half Marathoner– Get that 13.1. If you are preparing for your first half marathon (perhaps the Parks Half Marathon in September) or if you want a little challenge but want to walk the next day: the Rumble 8k will help you hit those goals. Please note, Riley’s Rumble is not a good idea for your first half marathon. However, if you choose not to run either race, please consider Volunteering. It will be a great time (guaranteed)! 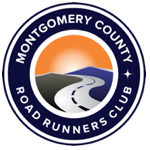 Non-members: Register online (available closer to the race) both the half marathon and 8K. The half marathon is $30.00 (plus service fees) and the 8K is $15 (plus service fees). You can register in person on race-day morning, but because there is no runner limit, you could be waiting in a long line. Pre-registering also means we can’t misread your handwritten entry or mistype it into the computer. We want your name spelled correctly in the results! At the race site, you will be given a bib and timing chip. The chip must be returned immediately after the race, at the finish line. 232 queries in 2.841 seconds.